The Best Easy Deviled Eggs Recipe Ever – easy and delicious perfect classic deviled eggs that are perfect for parties, potlucks, easter, or meals! 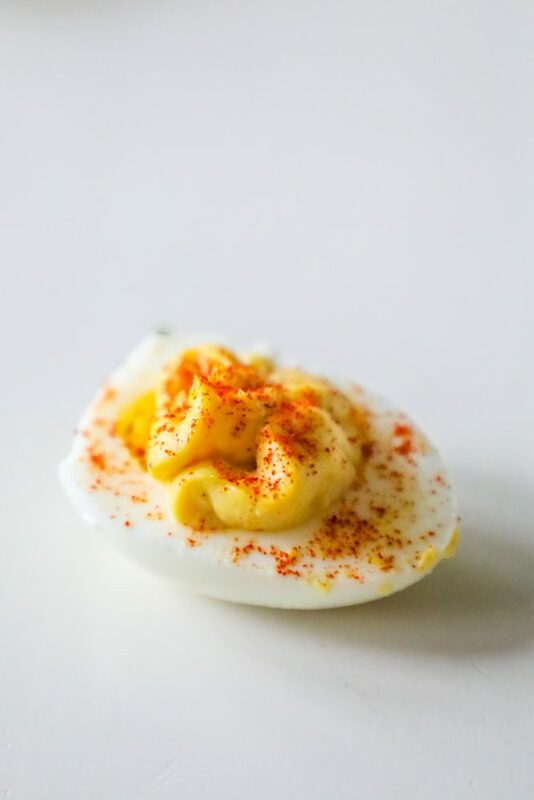 Deviled eggs are one of the best parts of spring and summer – they are easy to make but look insanely elegant, they are light – but filling, they use up all the eggs you dye at Easter, and they are naturally low carb and work with a keto diet. 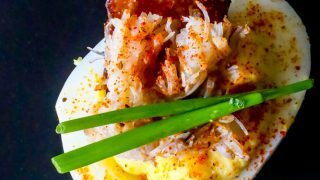 The Best Deviled Egg Recipe Ever is a classic staple everyone should have in their back pocket – it is easy to dress up (check out my Bacon Sriracha Deviled Eggs, and Bacon Crab Deviled Eggs for some good ideas), and goes well with everything! If you’re looking for the best ever deviled egg recipe – you’re in the right place. 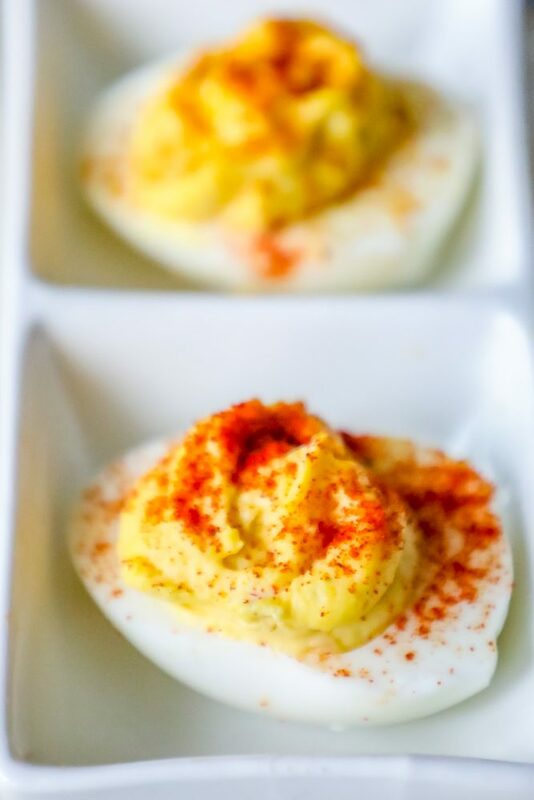 I hope you love these easy deviled eggs as much as we do! I get lots of questions in my posts, so I try to provide as much information in them for my readers. If you would like to skip over this helpful information, please scroll to the bottom of the page where you will find the best deviled eggs recipe ever. Once your boiled eggs are cool, crack the eggs and place in cold water for 10 minutes, then try to peel them – the shock of cold water helps the shells come off quickly. 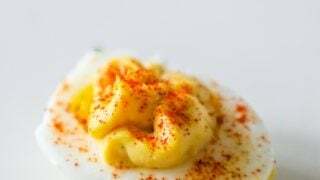 Deviled eggs get their signature look from being sliced in half, the yolks scooped out and whipped with mayo and mustard, and then piped back in. -Start with boiled eggs that have cooled. -Cut boiled, peeled eggs in half lengthwise with a smooth, single motion. -Gently scoop yolk from middle of egg – it should pop out. 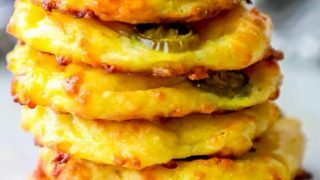 -Remove yolks and place in a small bowl. -If making ahead of time, store egg white halves in a tightly sealed container in the refrigerator until ready to serve. You can easily use a spoon to scoop your egg yolk filling back in your eggs, but it is so easy (and so much prettier) to pipe it back in! While a pastry bag with a star tip will give you a dramatic look, it’s easy to pipe the egg yolk filling by just using a plastic bag with the tip cut off. 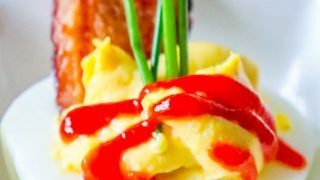 Don’t worry too much if it looks a little haphazard – topping the eggs with bacon, chives, and sriracha will make even the sloppiest of piping jobs look perfect! -Add Yolk mixture to pastry bag or ziploc bag with the tip of one corner cut off. -Gently pipe yolk mixture back into egg. -If you like spicy food and want extra spicy deviled eggs, mix a little mayonnaise with sriracha and then top with more sriracha! Deviled eggs can be hard-boiled and peeled up to 1 day in advance and stored in the refrigerator in an airtight container. The eggs can also be sliced, and yolk filling prepped, a day in advance – but save the yolk filling in a small airtight container, and save the piping for just before serving the deviled eggs. 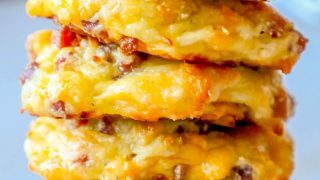 Fill the egg white shells when ready to serve, and top with sriracha, diced chives, paprika, and bacon. 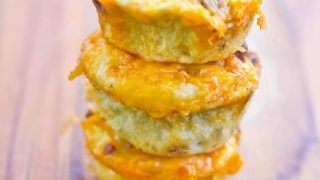 If you love the best deviled egg recipe ever, you will love some of my other favorite easy egg dishes! 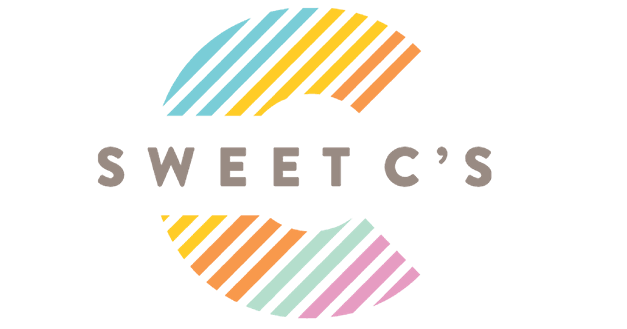 Click through below to find one you love! Easy egg based breakfast, lunch, snacks, and dinners. 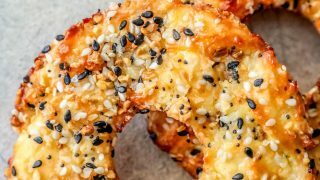 Easy Keto Everything Bagels Recipe - delicious everything bagels that are low carb using just cheese, eggs, and everything bagel seasonings for a filling keto bagel everyone will love! 4 Ingredient Keto Jalapeno Cheese Bread is a simple, easy, and delicious low carb grain and flour free baked bread bursting with cheesy jalapeno flavor that tastes just like fresh baked bread with only 1 carb per serving for an indulgent bread you can eat on a keto, paleo, or low carb diet! Easy bacon sriracha deviled eggs recipe – the most delicious spicy and savory deviled eggs bursting with bacon flavor! Bacon Crab Deviled Eggs - decadently indulgent deviled eggs loaded with Maryland lump crab meat and crunchy bacon! 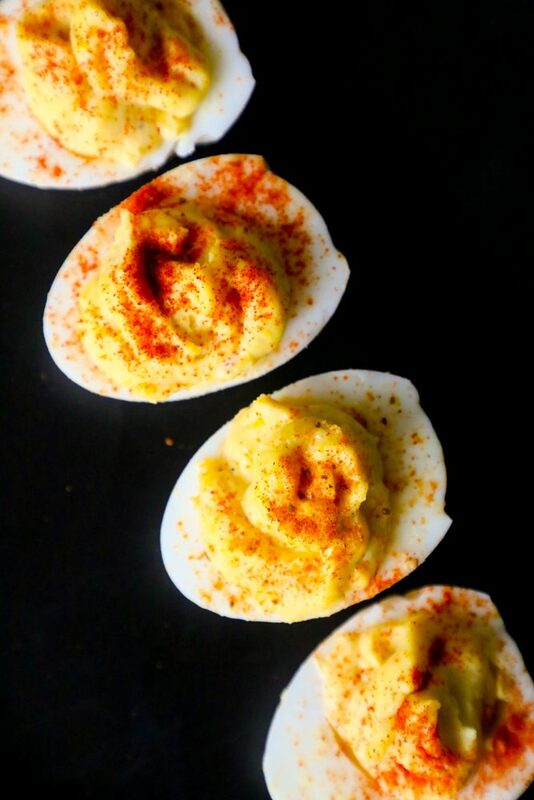 The Best Easy Deviled Eggs Recipe Ever - easy and delicious perfect classic deviled eggs that are perfect for parties, potlucks, easter, or meals! 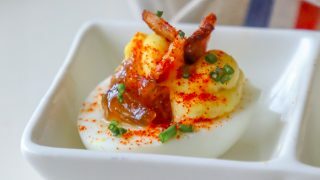 Bacon and onion jam deviled eggs recipe - delicious bacon and onion jam topped deviled eggs for an indulgent gourmet egg dish everyone loves! In a heavy large pot with thick base, cover eggs with cold water and bring to a boil. Remove the pot from the heat, cover, and let sit for exactly 14 minutes. Plunge the eggs into a bowl of ice water to cool for 10 minutes. Tap the eggs with the back of a spoon gently. Eggs can sit in water overnight for incredibly easy to peel eggs. When you're almost ready to serve, peel eggs. Gently use a spoon to scoop out egg yolks. Place in small bowl nearby. Add yolks and mayonnaise to the bowl. Whip with a spoon or fork until yolk mixture is smooth and fluffy. Scoop the yolk mix to a pastry bag fitted with a star tip, or a plastic bag with the corner cut off. Pipe yolk filling into egg white halves. Sprinkle with paprika to top.